← Making A List And Checking It Thrice: It’s The S&B Party Next Week! It’s my new thing now, finding dishes that will feed me the recommended doses of daily Vitamins and Minerals I cannot get from the supplements I cannot take. It’s apparently a cancer treatment thing, we don’t want the extra agents found in vitamins to disrupt what’s still in my system! So, that’s the way it has to be for the moment and I am okay with it. Actually I am more than okay with it because it has forced me to do research I otherwise would never have paid attention to. I am waking up and smelling the Salsalad people! I think I just made that word up – Salsalad. We all know what it is! It’s the heart-healthy-low-fat-never-boring salsa that compliments any meat dish. And guess what? Did you know that almost every culture has one! Click here for for just a few more Indian, Thai Salsa, and even South African chain restaurant, Nando’s, has one, it’s called the Peri-Peri Salsa – check it out! Mine just happens to be inspired by Mexico. I am forever influenced by Mexican culture, love the food, love the people, love Day of The Dead, love everything about Mexico! So naturally my heart healthy Salsalad would be a true Mexican Salsa. 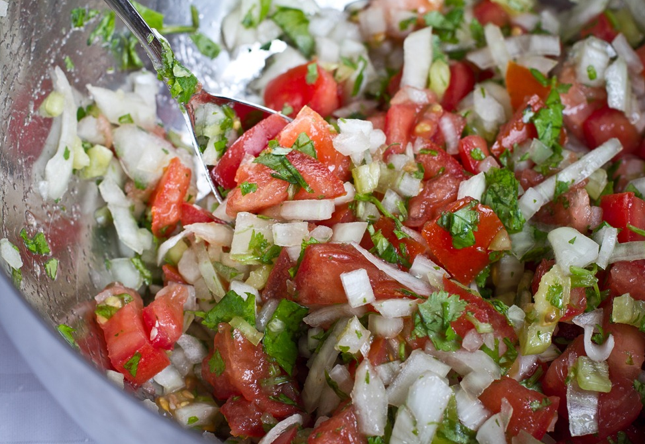 Mine is loosley based on a pico de gallo while its 4 main ingredients include tomatoes, onions, cilantro (fresh coriander) and lime juice. Mine, on the other hand, has a sophisticated twist and purpose, if you will, as every bite must pack its punch! Recipe is 5-6 deseeded and diced tomatoes; 3-4 medium diced white or yellow onions; juice of 1-2 limes; 1 large bushel of cilantro (coriander) chopped; 1-2 red chiles, deseeded and diced; 1-2 Tbsp of extra virgin olive oil (optional); sea salt and freshly ground pepper to taste. Deseed, dice, chop, or pour as directed and mix all ingredients together in one large glass bowl. Cover with cling film and refrigerate for at least 1 hour (will last up to 3 days refrigerated). Apart from any Mexican food dish, this Salsalad goes best with grilled chicken, marinaded skirt steak, lamb chops, all baked, grilled, or steamed fish, even freshly ground hash-browns – it’s a delicious compliment and side dish! Additional ingredients to liven things up are chopped oranges, diced turnips, diced and deseeded cucumbers, more onions like scallions and red onions, and even jalapeño peppers. 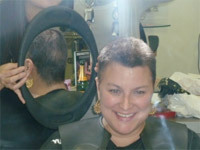 Use the base or add it all in, there are loads of combinations to make! Tomatoes are high in vitamins C and also contain significant amount of vitamins A, B including niacin and riboflavin, magnesium, phosphorous and calcium. 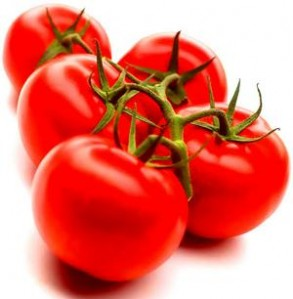 Tomatoes are also a good source of chromium, folate and fibre and in recent years, a nutrient found in abundance in tomatoes is lycopene which has made many headlines for its disease fighting abilities. Onions are low in calories, add loads of flavor to a wide variety of dishes. They only have 45 calories a serving, are fat and cholesterol free, low in sodium, high in vitamin C, and a good source of fibre. 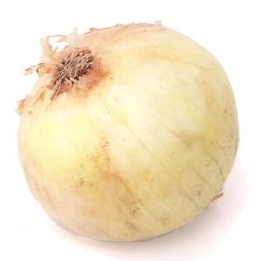 Onions have phyto-chemical compounds called allium and Allyl disulphide which convert to allicin by enzymatic reaction when the bulb is disturbed by crushing or cutting it. Studies shown that these compounds have anti-mutagenic, meaning they protect you from cancers, and have anti-diabetic properties which is known to help lower blood sugar levels in diabetics. Rich source of chromium and antioxidant flavonoid quercetin, which is found to have anti-carcinogenic, anti-inflammatory, and anti-diabetic functions. Chillies, red or green, contain a health benefiting alkaloid compound called capsaicin which gives strong spicy pungent character and has anti-bacterial, anti-carcinogenic, analgesic and anti-diabetic properties. They are rich in vitamin C, have no cholesterol, high in other antioxidants like vitamin A, flavonoids like beta carotene, alpha carotene, lutein, zeaxanthin, and cryptoxanthins. 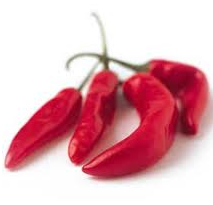 Chillies contain a fair amount of minerals like potassium, manganese, iron, and magnesium. Potassium in an important component of cell and body fluids that helps controlling heart rate and blood pressure. Manganese is used by the body as a co-factor for the antioxidant enzyme superoxide dismutase. Best part: available all year round! 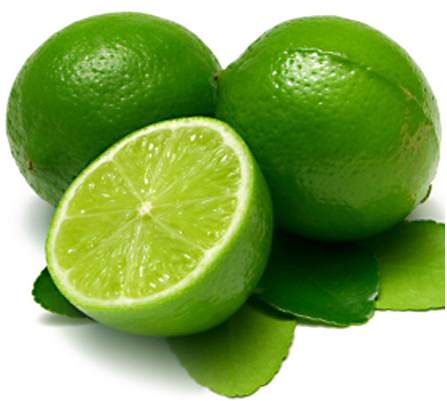 Limes are known for their antibiotic effect. They destroy putrefactive bacteria in both the intestines and the mouth, are used to purify the breath, and its antiseptic, antimicrobial and mucus-resolving action makes limes useful during colds and flus. 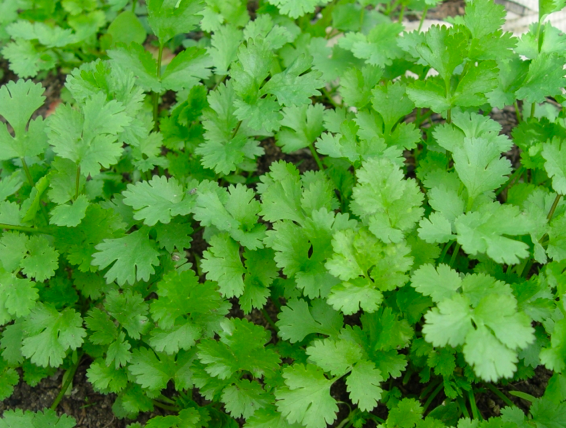 High source of vitamin C.
Cilantro (Coriander) leaves act as stimulants and tonics for the stomach, strengthening its functions as well as promoting digestion. It has anti-inflammatory properties that might alleviate symptoms of arthritis; helps stimulate the secretion of insulin and also lowers blood sugar; keeps health problem at bay, by helping lower bad cholesterol and raise good cholesterol; is good for treating nausea and intestinal gas and is also a good source of dietary fiber and has also been found to provide effective protection against urinary tract infections. Once a week and now as a good developed habit, I roast a whole chicken to pick from for 3-4 days, I chop 2-3 heads of Romaine salad, rinse and and leave in ziplock bags to have at the ready, I boil 6-8 eggs for salads, AND this is one of those salads that is now a staple in my refrigerator. And besides it is a salsa, so it makes for a perfect snack inside freshly rolled corn tortillas! This entry was posted in ALL POSTS, Doctors Orders, Food For Thought, Mi Comida Mi Cocina and tagged nutrition for salsa, onion salad, recipes for tomatoes, salsa recipes, tomatoe salad, tomatoes onions cilantro salad. Bookmark the permalink. I have been checking out some of your stories and it’s pretty good stuff. I will make sure to bookmark your site.